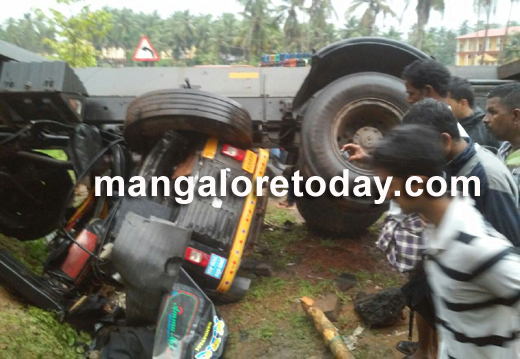 Mangaluru, June 10, 2016: In a tragic accident where a Maruthi 800, a container truck and an Auto rickshaw collided each other in a serial mishap claimed fives lives and injuring three seriously at Farangipete here in the evening on Friday June 10. 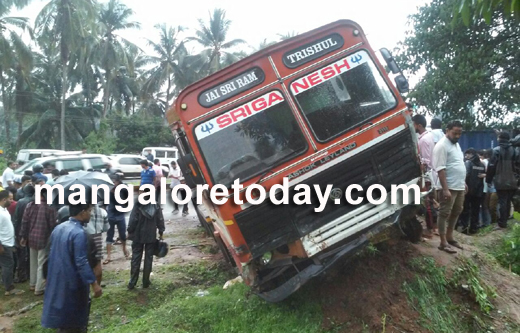 As per the reports, the container truck on its way to Mangaluru lost controlwhile negotiating a curve near Yashashwi Hall, rolled over the divider and banged into Maruthi 800 followed by an Auto rickshaw which was moving on the other side of the road. 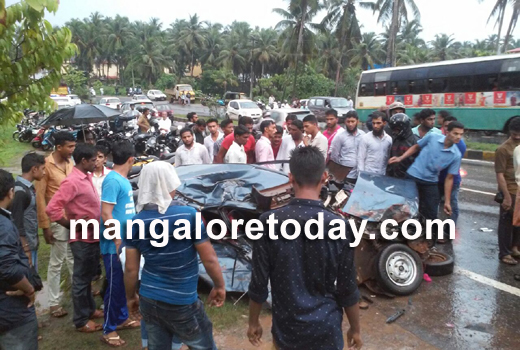 The deceased have been identified as Mohammed Salam (24) , Mohammed Sainal (30), Ahmed Hussain (32), Mohammed Nazir (24), and Mohammed Haneef (20) from Bantwal. 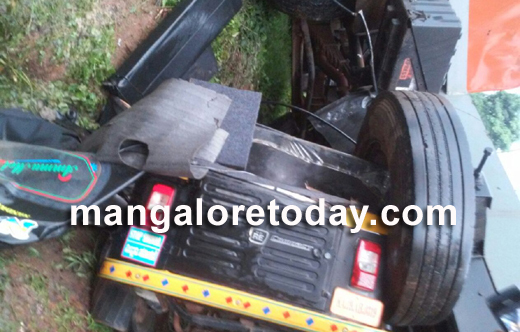 Out of the six members who were travelling in the auto-rickshaw four died on spot and three others seriously injured. 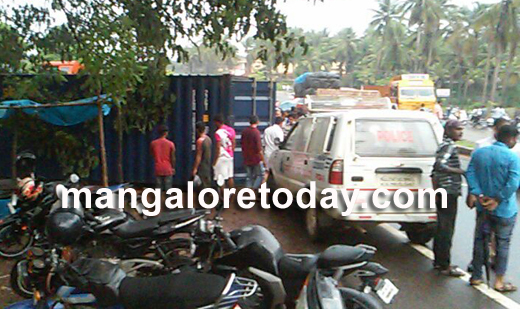 Onlookers blamed driver of the container for his negligence. 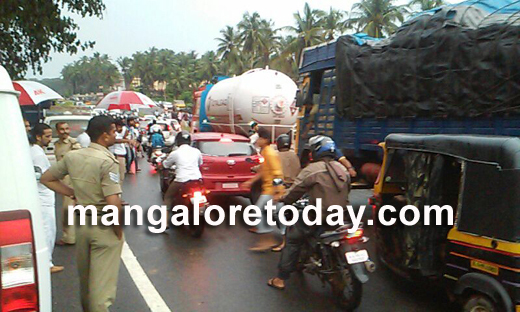 The frustrated public taken the driver of the truck into task and tried to assault him and ablaze container lorry . Police reached in time and brought situation under control. This can be called fate because a unexpected death to the people travelling in the auto. If anyone from his family meets a tragic end what would be the drivers response? life is very important its once lost cannot be got back . 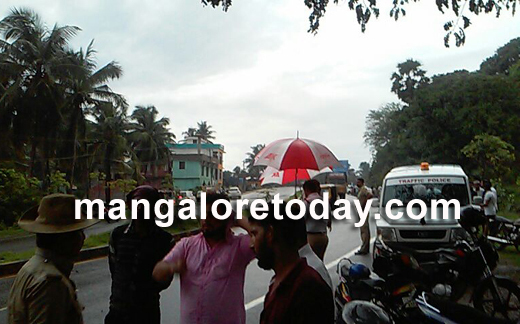 The monsoon starts the number pf road accidents increase as in some places roads seem to be slippery. 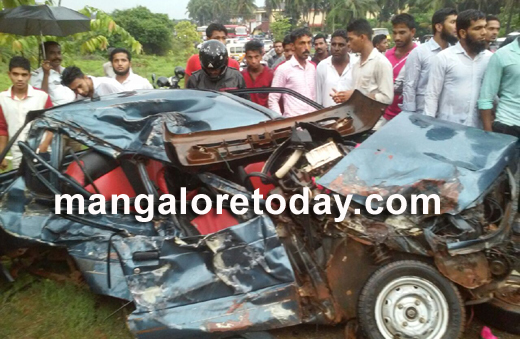 but the main reason for the accidents are speed and negligence. The public has to take action on such driver . Such vehicles have to be set on fire.Very sad about the people died in the mishap. Accident happens in the fraction of second. Negligence is the main cause and poor thing so many die. Think the people travelling in car also may be injured seriously.